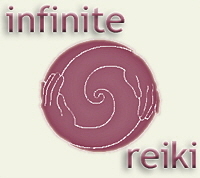 Receiving a Reiki treatment is a very simple, non-intrusive and extremely powerful process. A session lasts one hour. You usually lie down on a massage table fully clothed and covered with a blanket. If you prefer or if you find it more comfortable, you can sit in a chair. Sarah will gently place her hands on and around your body in various positions, enabling you to draw the energy where you need it most. There is no pressure, which means Reiki is also ideal if you are very young, elderly, recovering from surgery or pregnant. During a Reiki treatment you will often feel a pleasant tingling in the area Sarah is working on. As the energy flows it’s likely you will feel very relaxed and an increased sense of well-being. You may fall asleep. To book a treatment, call Sarah on 01206 366819 or via secure contact form. Click here.